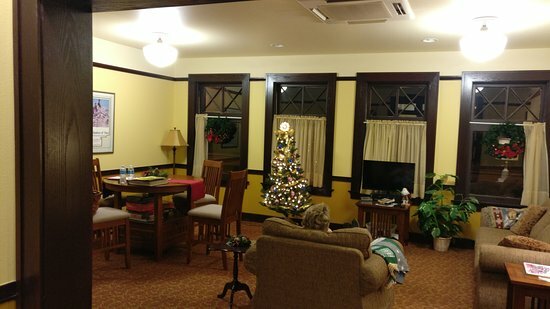 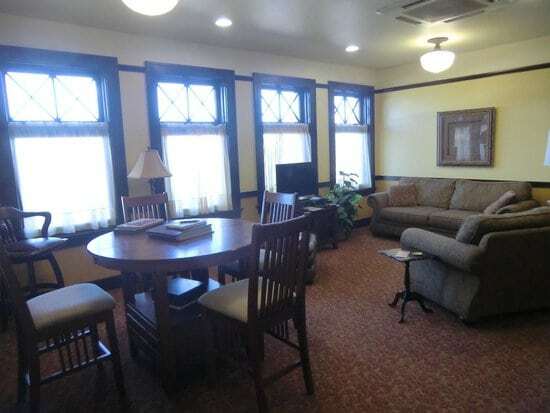 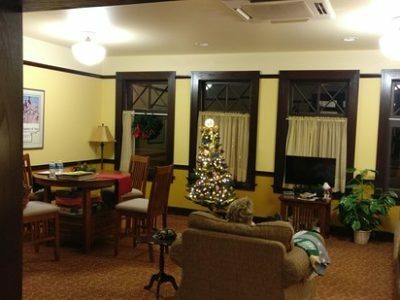 The second floor greets guests with a charming sitting room, which overlooks the railroad and is the ideal spot for making fond memories. 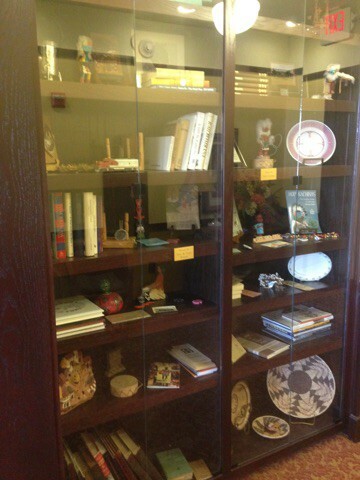 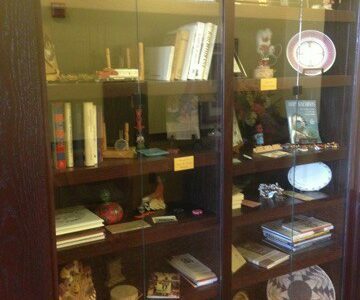 The display case in this area hosts Harvey, Santa Fe, and Native American memorabilia, and was donated and arranged by Joyce Cheatham. 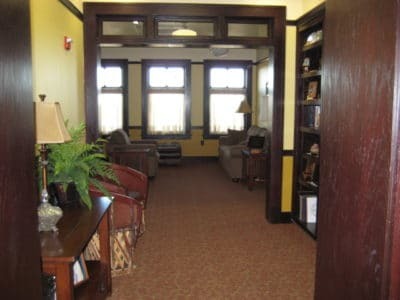 The sitting room entrance has a mini fridge for guest use, a sink, first aid kit, and necessities basket.